Namesake - The building was named after William J. "Uncle Billy" Craig who died in 1959. He had been a faculty member since 1908 and served as a placement director. From 1930-1953 he was secretary of the Western Alumni Association. The building was named after him in 1968. History - The building was a three story Federal-style brick building that was first built as a president’s home. 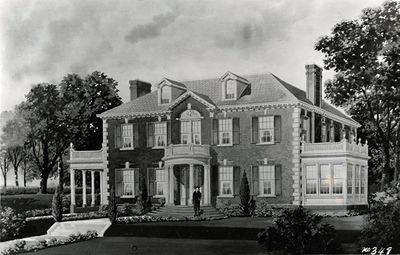 WKU's first three presidents Henry Cherry, Paul Garrett and Kelly Thompson lived in the house. In 1966, Kelly Thompson moved to a different residence and the Alumni and Placement Office moved into the building. Upon completion of the Augenstein Alumni Center in 2013 the Alumni Relations, Placement, Advancement Services & WKU Foundation offices moved out of the Craig Alumni House. Craig Alumni underwent renovations through 2014 and reopened as the Craig Administrative Building. President Gary Ransdell moved his office to the refurbished building in 2015.